Get the ultimate SUP experience with Freeride! Discover the most hidden places of our coastline. Are you ready for this Adventure? 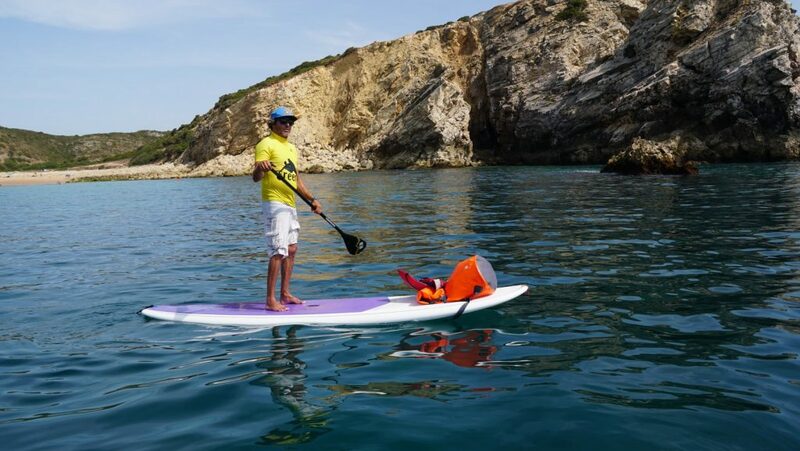 Freeride Surf School is Proud to present Freeride SUP – The ultimate Stand Up Paddle experience in the Western Algarve! Now you can enjoy the nature from an ocean perspective on a Stand Up Paddle board. SUP (Stand Up Paddle Surfing/boarding) is a sport where you cruise around on a big board standing up straight with the help of a paddle in the water. 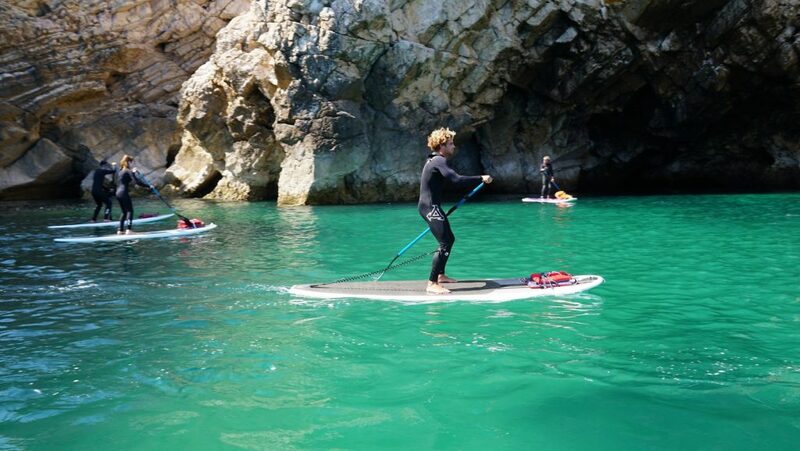 The Stand Up Paddle boarding is a great exercise that offers a complete body work out and at the same time is an exciting and adventurous way to explore the coastline, canals, lagoons, rivers and many other spots here in the Costa Vicentina, South Portugal. With the help of our experienced and professional SUP guides you are going to be able to explore one of the most amazing landscapes in the Algarve, right here next to our SUP Center! The Stand Up Paddle boarding is easy, fun, and available to most of the ages. Amazing for groups of friends and families! 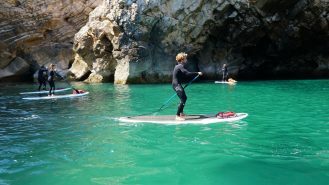 Coastline Cruising: a 3 hour tour of the ocean where you are going to explore a special area of the Natural Park – Sudoeste Alentejano & Costa Vicentina in the Algarve- including caves and desert beaches just cruising through this breathtaking coastline in a unique way with a professional guide. All our Tours will include Jet ski assistance if weather conditions will demand it. SUP Initiation: introduction to the technique of the SUP for 1h30 in local beaches like Baleeira, Tonel, Beliche or Martinhal, depending on the weather conditions. Describe the SUP level of everyone in your group. If booking a package then enter the date of first lesson. Please be advised that the prices shown are estimations and are subject to change without prior notice.